This gorgeous Great Horned Owl is a fantastic and powerful predator. 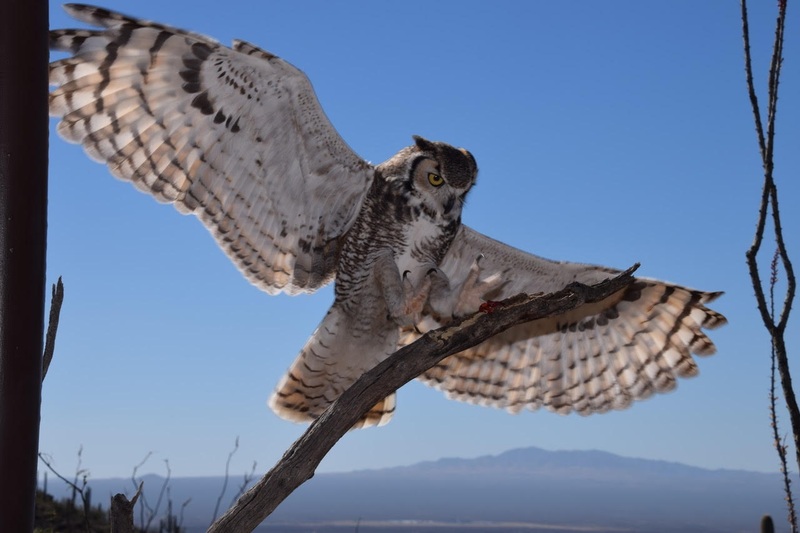 These owls are found throughout Arizona and they feast on rodents, amphibians, and other birds. To read more about this beautiful creataure, click here. Just look at that wing spread!! And check out those claws!! !